Delaney probes into the vulnerable corners of family life, including her own, to explore struggles over social media, video games, academics and internet addiction. Through poignant, and unexpectedly funny stories, along with surprising insights from authors, psychologists, and brain scientists, SCREENAGERS reveals how tech time impacts kids’ development and offers solutions on how adults can empower kids to best navigate the digital world and find balance. 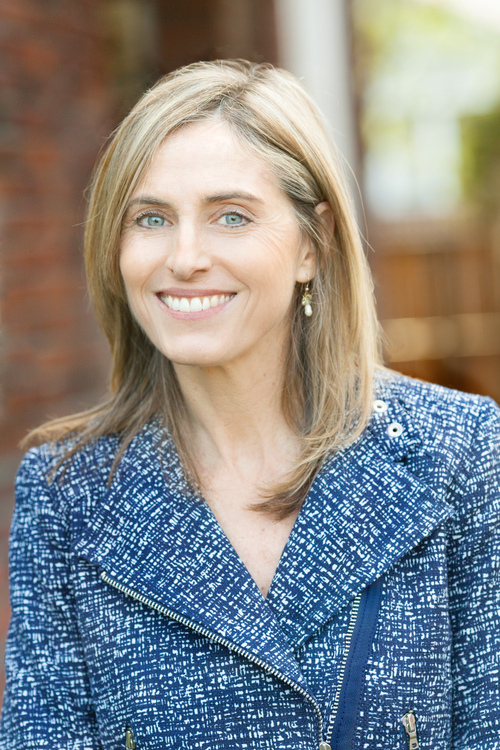 Delaney Ruston is a filmmaker, Stanford trained physician and mother of two. Through her company, MyDoc Productions, Delaney has made award-winning feature documentaries such as Unlisted: A Story of Schizophrenia, about her father, and Hidden Pictures, about global mental health, which was filmed in China, India, France, South Africa and the US. These films have screened in multiple film festivals, aired on PBS and have been the focus of national advocacy campaigns. For example, Unlisted screened in communities throughout the US in partnership with the two largest grassroots mental health organizations and Hidden Pictures screened on World Mental Health Day by 141 international organizations in 2014. Delaney has been invited to speak and screen these and other films to hundreds of audiences in diverse settings around the world--such as at primary schools, conferences, medical centers, universities, the United Nations, the TEDx stage in Seattle and the World Health Organization. For her work in using film in launching advocacy movements Delaney has won several awards. 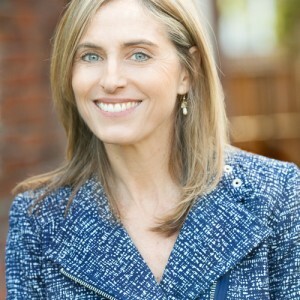 Throughout her education at Cornell University, Stanford Medical School and the University of California, San Francisco (UCSF) for residency, Delaney studied many aspects of filmmaking, with a particular focus on film as a vehicle for social change. She made her first award-winning short film while doing her medical residency at UCSF. She completed a Fellowship in Ethics and Communication at UCSF and then went on to become faculty at the University of Washington in Seattle. She then completed a National Endowment for The Arts funded filmmaking program and later was awarded a Fulbright Scholarship to make films in India. Along with filmmaking, Ruston has spent over a decade providing primary care to the underserved. She is currently the Filmmaker-in-Residence at Alan Alda's Center For Communicating Science, Stony Brook Univ. NY. "My husband and I have just been very concerned about this issue for some time, and as I'm a geneticist at UCSF Children's Hospital Oakland, I'm very interested in the science behind it. The film is first rate- you've made a REMARKABLE piece: thoughtful, provocative and beautifully filmed and edited. " "Just wanted you to know that your movie has the attention of most of the important people in my community. You have conquered Marin! 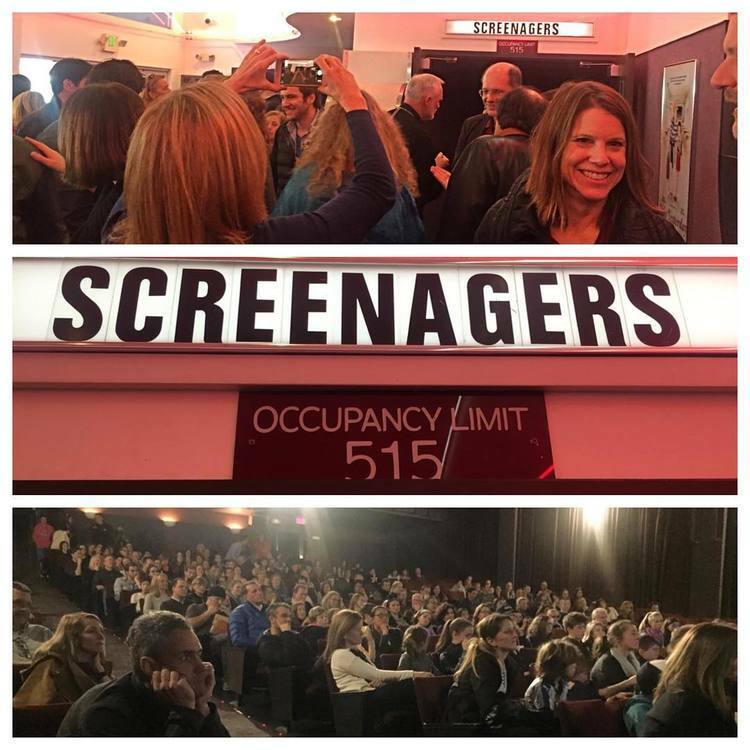 It's making a huge buzz...."
"I saw Screenagers two days ago at my son's school in NYC. It was an incredible eye opener...the way it was presented got totally under my skin and pointed out exactly what we are dealing with in my family….this already has brought changes into our life." "My husband and I have just been very concerned about this issue for some time, and as I'm a geneticist at UCSF Children's Hospital Oakland, I'm very interested in the science behind it. The film is first rate- ….REMARKABLE piece: thoughtful, provocative and beautifully filmed and edited." "I had a chance to see Screenagers at my children’s high school and was inspired to spread the message to other parents. I work in the technology world at Lucasfilm and as the father of two teenagers, I appreciate the challenges in maintaining balance in the access and use of technology. The screening was easy to setup and we had more than 100 Lucasfilm families attend the screening and discussion. We held the screening after work hours and encouraged parents to bring their kids. After the screening we had a lively Q&A with the producers, which I moderated. Kids opened up about their challenges with screen time and parents shared their struggles in maintaining balance with their kid’s use of technology. I would highly recommend this film to any current or potential parents in dealing with screen time and the challenges we face in balancing the use of technology at home and at school." "I watched this movie twice, and was engaged and interested both times. It prompted a great discussion with my kids ... I also watched this movie with several colleagues and we had an excellent discussion around what we observe in our practice, what kind of guidance and advice we give, and what we do personally and with our families." "I saw the movie tonight and think it's great. It's current and timely given so many of the issues we face with our kids today and at Drake HS, such as cell phone use in the classroom"
"I saw Screenagers with my family on Wednesday night. The movie is wonderful. It was so great to have the girls hear all of the concerns about too much screen time come from someone other than Greg and me!" “I got my daughter's feedback on the movie and I want to thank you and your team! She learned a lot and has requested restrictions on her phone usage. I’m really happy for you and the success of this project and grateful for its impact!!" "Screenagers is a very balanced, sympathetic and sane look at the way millions of teens are struggling with phones and games and technology in general. In part by letting the teens themselves speak about their own concerns and solutions, Screenagers is deeply affecting, too." "My 13 year old son and I watched the film Screenagers together. The impact of the film was so great, that all on his own, when the movie ended, my son announced that he would voluntarily be relinquishing his computer for a week. In the end, he was off completely for 10 days, and when he did get back on he started setting a timer and sticking to his own self-imposed time limits. Thank you for sharing this valuable film with us." "I am so grateful I got to see this film in our own town theater full of local parents with their (mostly middle school-aged) tweens in tow. After recent screenings at multiple venues in our community, the buzz is audible everywhere that parents gather lately. The film accomplishes a worthy goal - provoking thoughtful self-examination and conversation within our family and outside it, among all kinds of parent "colleagues". The film really meets parents and young people where they are today, and thankfully informs without alarming, in a voice that viewers can actually hear without feeling lectured to or blamed. I truly appreciate the reflection this film encourages, in addition to the breadth of research and everyday-life struggles it exposes that are immediately relevant and relatable." "I loved the movie! It taught me and my sister so much. We had a great discussion about it at home too." "Saw it last night & am thrilled to reference this film as a resource for families wrestling with this topic! Thank You!" "Bringing my daughter to the movie has opened up a whole new level of dialogue between us, for which I sincerely thank you." "I am a parent at IS276 and was at the screening. Great job in putting a film like this together. I also enjoyed having Simon there, I am familiar with his "Happiness" work and had the pleasure of seeing his Ted Talks about marketing from the inside out. I am a Rodan+Fields consultant and see his work often 🙂 Best of luck moving forward! I have an 8th grade daughter and 6th grade son, so I could relate to how easily they can get sucked into the screens...myself included as I work from home! We all are a little more aware after seeing your film."